Sadly, the two-stroke 125 is all but dead. The recent advent of credible, easy to ride and cheap to run four-strokes is killing sales of fickle, expensive smokers. 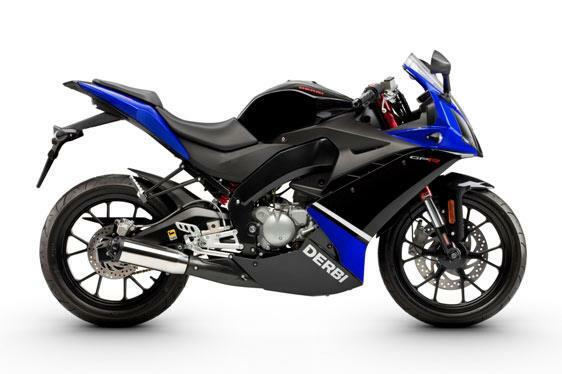 Derbi’s learner sportsbike gets an all-new design with a four-stroke engine for the first time, going head-to-head with Yamaha’s YZF-R125. 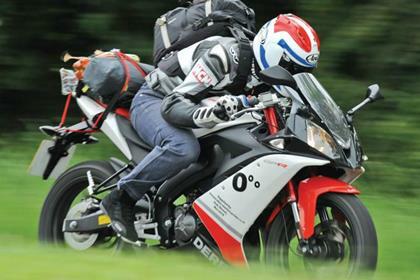 125s have to be built to a price – teenagers usually have a limited budget. So the chassis usually suffers. 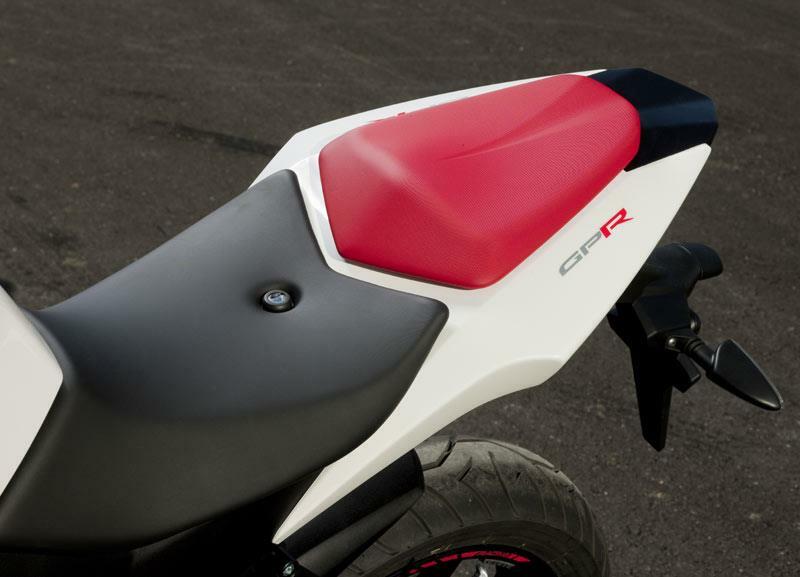 The Derbi has a chassis that looks tricker than it is (the aluminium beam frame is two parts bolted together at the headstock! ), but it works OK. 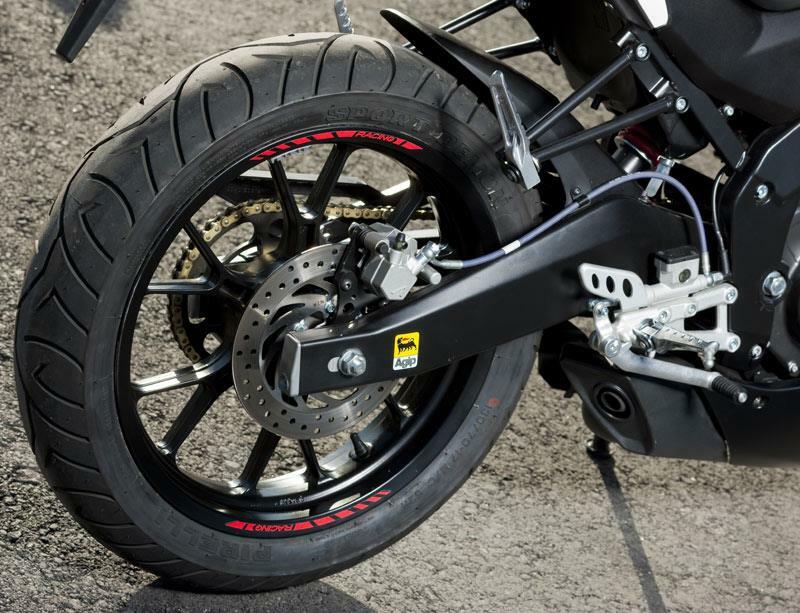 The suspension is firm – sometimes too firm over potholes, but it steers and holds a line better than bouncy rival machinery. The radial caliper looks good, but lacks bite – squeeze it hard. 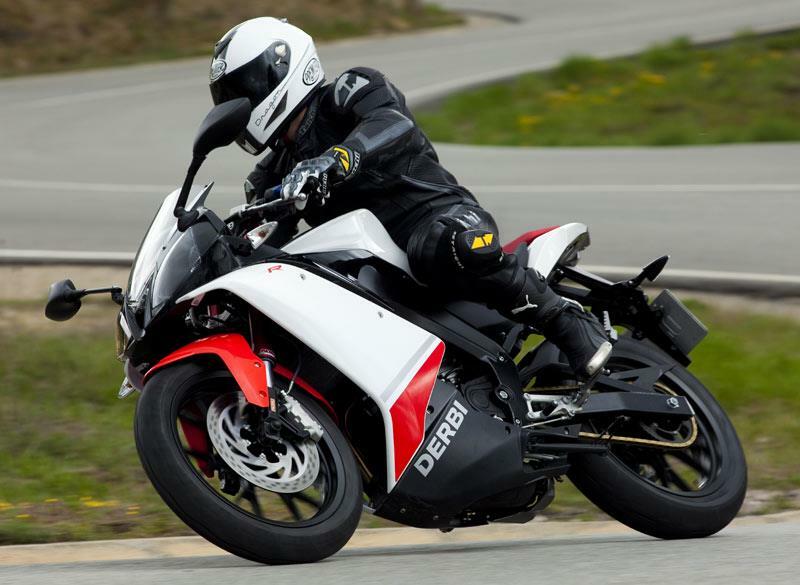 What we say here is relative – in general motorcycling terms, the Derbi GPR125 is slow and buzzy. But back-to-back with other four-stroke 125s it’s right up there with the quickest (we saw 83mph on the digital dash), and once you get used to having to rev it hard all the time, it’s loads of fun to thrash everywhere. It even holds speed up hills OK, but it’s still only got 13bhp – don’t expect too much. 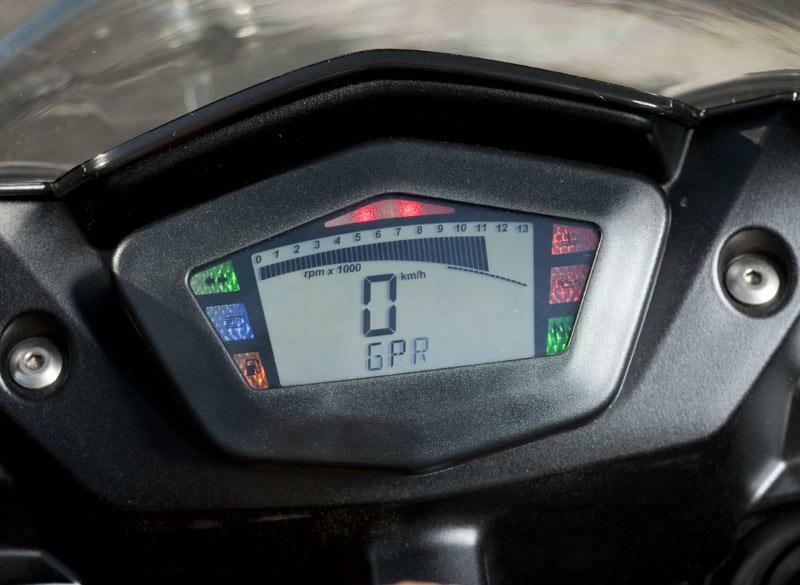 Because it’s so new we’re unable to give a full appraisal of reliability – our test Derbi GPR125 dealt with nearly 300 miles flat out without complaint, but the finish isn’t the nicest. The brake master cylinders and other bracketry is a bit cheap and nasty, and the whole bike feels a bit plasticky. That’s the pay-off for having the trick bits at a reasonable price. 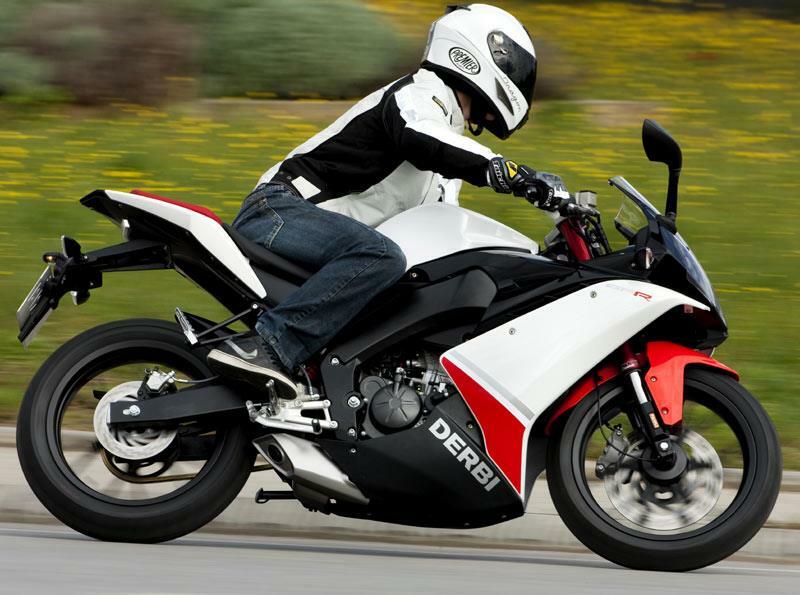 Cheaper than an R125, but more expensive than a Honda CBR125R with better spec than both, the Derbi is decent value on paper, but you are getting a less durable product that isn’t likely to retain as much value and desirability as the sought-after Japanese machines. 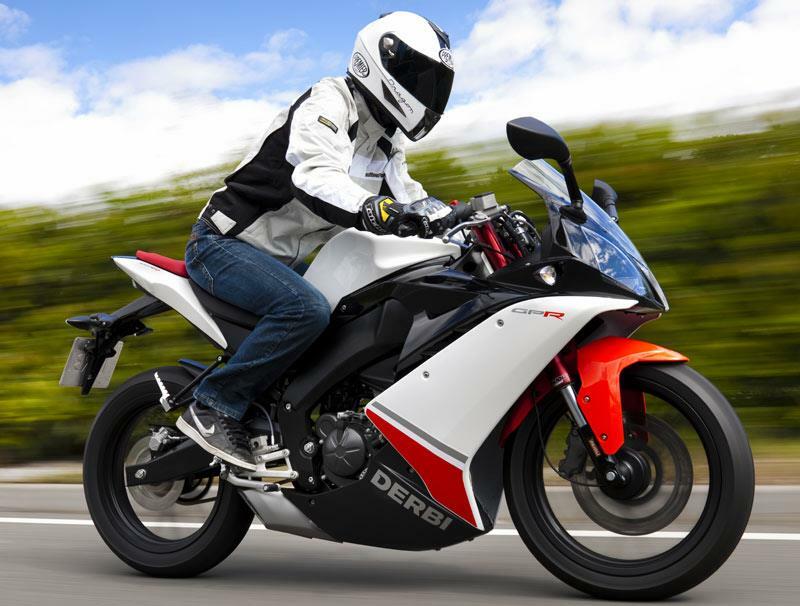 Find a Derbi GPR125 for sale. In terms of bling, the Derbi is the king of the 125s. 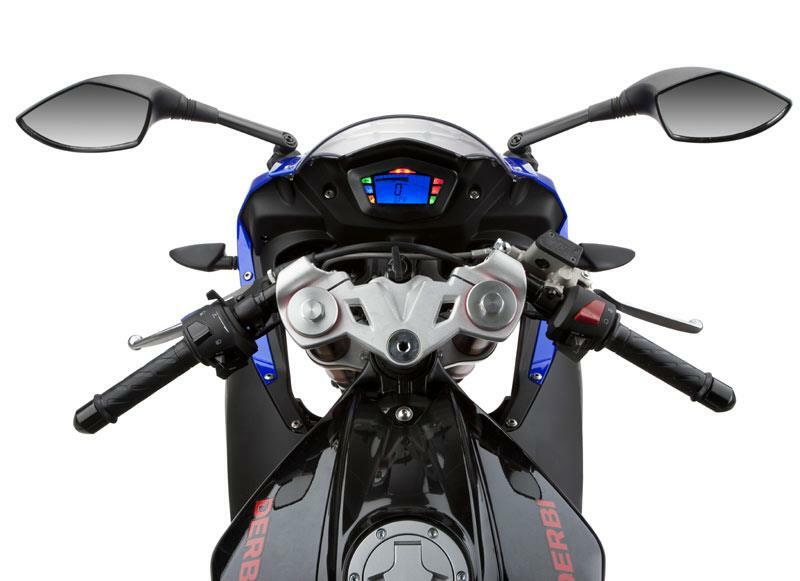 It has a digital race-look dash that records highest top speed as well as more useful information, upside-down forks, radial calipers and an underslung exhaust. 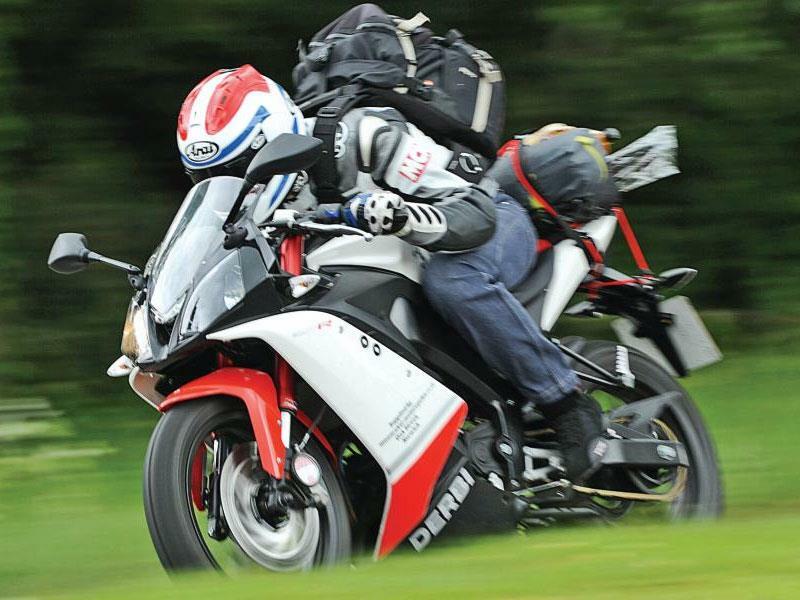 There is a pillion seat – it’s small, high and fitted to a bike not powerful enough for passengers anyway. 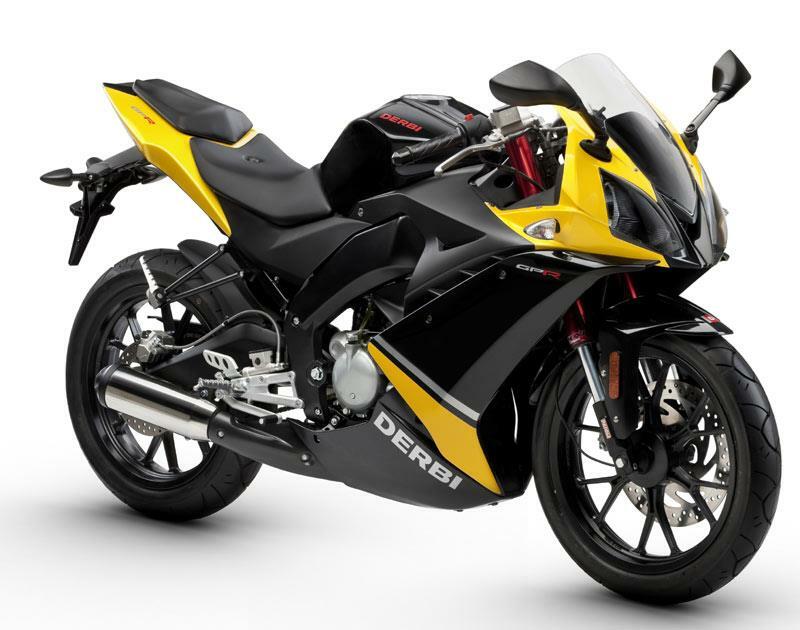 Compare and buy parts for the Derbi GPR125 in the MCN Shop. 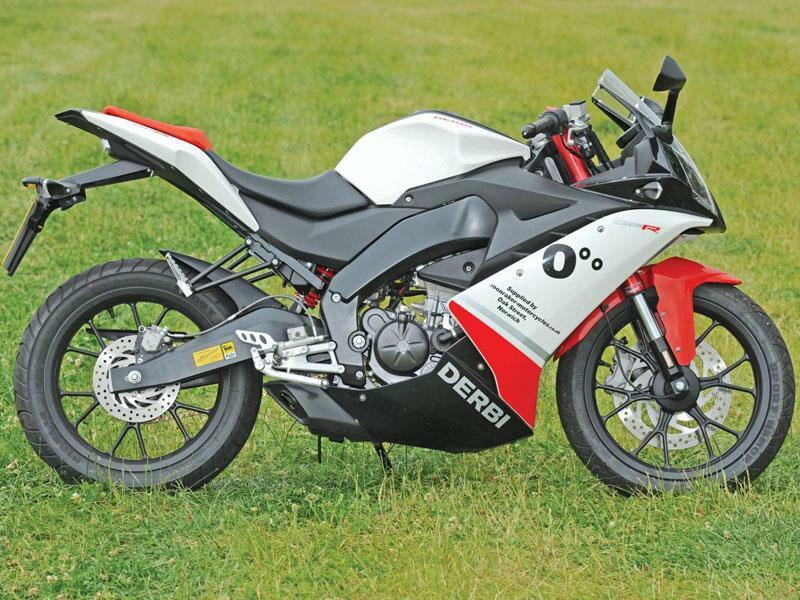 4 owners have reviewed their DERBI GPR125 (2010-on) and rated it in a number of areas. Read what they have to say and what they like and dislike about the bike below. 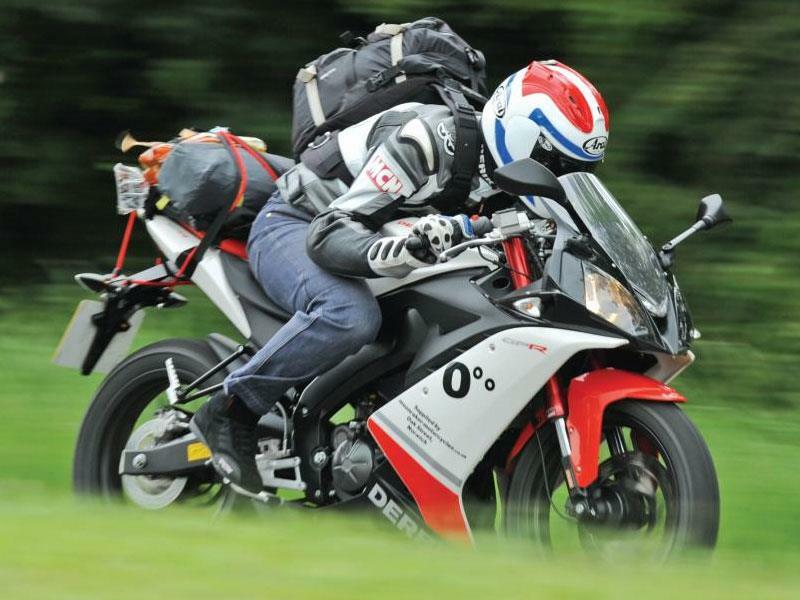 The best 125 in the world this GPR 125 also known as RS 125 when it comes from Aprilia. Nothing can be better of 125 CC to 155 CC with this beautiful beast! Its a good bike, but its harsh price tag put it out of reach of most of my 17 y/o biker friends - I saved up and bought one that was just under 3 years old with 5k miles for 2 grand. Probably the biggest mistake of my life so far. There are *ZERO* aftermarket parts for this bike, and even the manufacturer parts are hard to come by - It took me 3 weeks to replace my sprockets, and even then I couldnt even attempt to fiddle with the gear ratios because the only ones that were available were stock size. My side stand sensor broke, so I set off with it down and subsequently crashed at ~15mph, causing about 400 pounds worth of damage to the expensive (and very hard to come by) fairings. The fuel light indicator comes on when you have about 30seconds left to live, pretty much useless when you're heading up the A5. The fuses will blow, out of nowhere, I even had a professional electrician strip it down and rebuild it, he couldnt source the problem. And after 100 miles on this thing, death seems like an easy way out - then again, it is a sportsbike. On the bright side, its absolutely gorgeous, a real head turner. I went so far as to give it a custom paint job (black/green) and its got me plenty of attention form the ladies.. the perfect wingman. Its FAST, not just for a 4T, but for any 125 machine - it'll redline at 74, but keep going on till 85mph when you finally decide that you're 'overdoing' it. Short distances down the shops etc are a thing of beauty, handling like a dream. But the real shock comes in when you put it on a race track, it corners like you wouldnt believe, infact I think I managed to get my knee to about 3 inches off the ground, before I bricked it and slowed up. The acceleration is good, but not great, if you put it next to a destricted 50cc machine, you wont see much difference up to 30mph - but once you hit 4th gear, it'll just fly. I managed to safely clip on a 16tooth front sprocket from another bike (stock is 14) and it put the acceleration down a decent amount, it'll now do 0-60 in around 16 seconds. But the top end has shot up to a whopping 94mph going down a steady hill. Overall, a good bike if you have the money and time to look after it properly, I'd choose this over a similar prices RS anyday. My first bike. . .
...and it's a cracker!  I looked at all the 125s on the market, and was put off by the Aprila and Yama's price tag. A review last summer had the Derbi as a dark horse beaten only by the Aprila, and I picked mine up nearly new, pristine for £2k. I have been riding bikes for 3 days now, and I love this bike. 0-30mph is rapid, and the 4th gear is a laugh out loud grin fest. I pulled up at work (motorcycle insurance!) and had a flock of people surround me, all very positive in praise of the looks and sounds (the bike, not me). I plan to ride this for a year, so I am super confident by the time I move up to my next bike, a GSXR 600. This will definately do for now. this is the best 125 bike on the market its fast easy to ride briliant handling i have had 77mph out of it atm and i ahve not took it back for its service yet so you shold be looking at bout 85mph not 78mph just make sure you run it in probly need any thing eles just ask? ?